God knows why our rulers remain restless for friendship with India in contrary to the public, despite being aware that their wish had remained fruitless for last 65 years. This wish for friendship has been taken as our weakness and India has left no stone unturned against our stability. Many of our pro-Indian elements (traitors in proper words) claim that if Pakistan withdraws from Indian Held Kashmir and ignores the sacrifices of Kashmiris, steps ahead for friendship and trade with India (acting as a market only for Indian products) than very soon Pakistani rivers would be filled with milk in spite of water and very soon Pakistan would in the list of developed countries (perhaps countries like Nepal and Bhutan are most developed countries in slavery for these bastards). The claims and lies of these traitors at its place but this is a bitter reality that in spite of Pakistan's withdrawal from support of Kashmir Freedom Movement India has never accepted Pakistan and she would never end her conspiracies against Pakistan. Living example is in front of us; after breaking Pakistan into two, India has never fulfilled her promises that she made with Bangladesh in 1972 in the shape of different agreements. Apparently it is being propagated that Bangladesh is developing by leaps and bounds but those who know the truth tell that majority of Bangladeshis are still living below the poverty line. Economy is in the control of India through Hindu investors. Foreign investors have been given relaxation in taxes however benefits are being harvested by Indian investors. India is constructing dams over Bangladeshi rivers but Bangladesh has no power even to protest against India. Bhutan and Nepal are completely under Indian control. In both independent countries Indian currency is also used along with local currency. Sri Lanka denied to bow in front of Indian plans and so Sri Lanka was turned into hell by Indian sponsored Tamil Terrorists for three decades. India also tried to hatch conspiracies in China too but here India remained unsuccessful because China replies Indian stones with bombs. This is the condition of Indian neighbors, as long as Pakistan is concerned; Pakistan is enjoying the neighborhood of India since 1947 and standing against Indian terrorist plans in the region in spite of very limited resources. Alas! A handful of pro-Indian elements (traitors) in Pakistan are not ready to accept the Indian conspiracies against Pakistan that after fall of Dhaka now Baluchistan and KPK are target of Indian conspiracies with the support of local feudal lords especially the most prominent one Sardar Abdul Ghafar Khan (Sarhadi Gandhi سرحدی گاندھی) and his family. Here I would like to mention a book “Pakistan Under Challenge” published in 1975 written by L. F. Rushbrook Williams. In this book the role of nationalist leaders of KPK and Baluchistan have been discussed in detail that how they are uprooting Pakistan under the deceitful plans of India. Sometimes they share Indian conspiracy of Greater Pukhtunistan or Greater Baluchistan under lame excuses of Punjabi Establishment and Punjabi Bureaucracy as fabricated by India. Pages number 106 and 107 contain a map that was made by Khan Abdul Wali Khan in which Pakistan has been shown consisting of only Sindh and Punjab while KPK (NWFP) and Baluchistan had been shown as part of Greater Pukhtunistan. Although Wali Khan and Asfand Yar Wali remained fully active in the politics of Pakistan especially Asfand Yar Wali who remained undivided ruler of KPK. This status and respect he got was due to the Pakistan otherwise his grandfather Abdul Ghafar Khan had so much hatred against Pakistan and love and loyalty for India that before his death he made a will that he should be buried in Afghanistan not in Pakistan. After he came into power it was expected that he would talk for Pakistan and protect interest of Pakistan but this traitor supported all steps taken by India threatening Pakistan in Afghanistan by saying, “how Pakistanis would feel if Afghanistan objects over handing over of Gwadar to China”? But Asfand Yar Wali and his party never dared to condemn or even protest against Indian armed interference in Pakistan via Afghanistan in spite of presence of all the evidence. Just for that India invested in Afghanistan to renovate the tomb of Abdul Ghafar Khan but that can never be substitute to Pakistan. 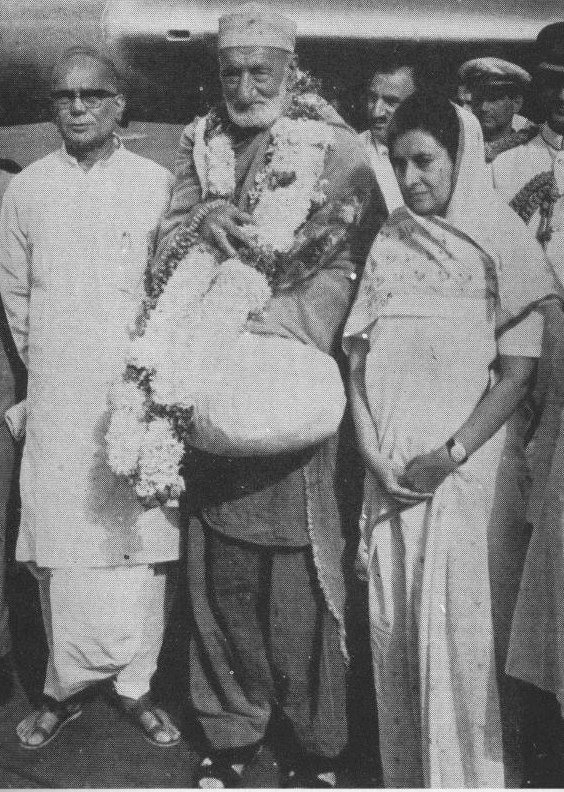 Wali Khan, his family and their party right from the beginning have opposed the construction of Kala Bagh Dam in spite of being aware that India wants to stop the water of Indus river by constructing dams over it and the support of Asfand Yar Wali to India in this conspiracy has been appreciated in India. Afghan-Indian nexus against Pakistan is nothing new because India is still living in pre-partition times when India and Afghanistan both were neighbors. After partition in 1947 India had to accept the borders but on the beck and call of New Delhi, Kabul denied to accept Pakistan as a sovereign country. First of all they took the support of lame excuse that they have concerns about Pukhtuns in KPK and afterwards it turned into conspiracy of Greater Pukhtunistan in which Abdul Ghafar had to play the lead role. What an irony of fate for anti-Pakistan elements that after invasion of USSR into Afghanistan their support for USSR became inevitable for them. This was the time when Pakistan in spite of shortage of resources gave shelter to millions of Afghan migrants which according to UNO were more than 5 millions. Most interesting fact is that present President of Afghanistan Mr Hamid Qarzai now speaking Indian language and willing for Indian military support had passed a long time in Pakistan as a migrant and enjoyed the hospitality of Pakistanis. When USA invaded into Afghanistan under lame excuse of Osama Bin Laden she had support of UNO and more than 27 countries. 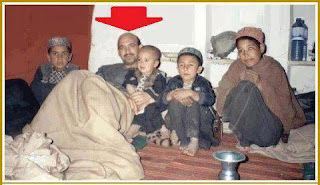 These allies tried all types of modern weapons of destruction against Afghans and afterwards landed into Afghanistan. They had never imagined that Afghan would start resistance against their invasion. When just after few months of US invasion when Afghans started the Guerilla warfare against foreign invaders, the allied soldiers who had invaded Afghanistan under the umbrella of air power were being sent back to their countries packed in coffins. This was something USA was never prepared for, so at once she started blaming Pakistan for this. In order to tackle this old enemy of Pakistan was invited to play her dirty role in Afghanistan and use her pre-partition allies in Afghanistan to reinforce the weakening control of foreign invaders. As soon as India got the chance to enter into Afghanistan she opened Consulates in Afghanistan near Pakistani borders and under cover of support for allied invaders became busy in hatching conspiracies and establishing terrorist networks against Pakistan. American were aware of the whole situation but they kept silent however, when after utilizing all ways of terror and violence Americans has to withdraw from Afghanistan and support of Pakistan for their safe withdrawal became inevitable; Americans disclosed the terrorist networks and conspiracies of India through a higher official. What Check Hegel revealed about India will discuss this, let’s talk about Indian policy regarding Afghanistan first. In January 2009 from Iranian port Chabahar to 218 km within Afghanistan a trade route (road) was constructed by Indian investment. 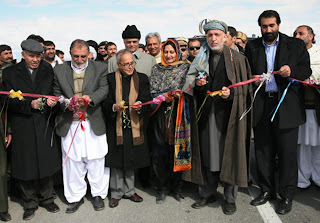 On the ceremony of completion of this route and handing it over to Afghan govt. Indian foreign minister Parnab Mukherji mentioned love of Jawahar Laal Nehru for afghans; I would like to quote a paragraph out of his speech as this will be helpful in understanding the Indian ideology. India and Afghanistan are not just neighbors, joined together by history and civilisational contacts stretching over the Millennia but also strategic partners. Our close relations are based on cultural affinities, the shared value of multi-ethnicity and pluralism and the common quest of our people for peace and development have ensured that the relationship between our two peoples remains warm and friendly. A prime example of India’s partnership with the people of Afghanistan is the construction of 218 km road between Delaram in Afghanistan to Zaranj on Afghan border with Iran which began in 2005. The road was an ambitious project and would link upto the Garland Highway stretching all the way to Kabul. The road would be Afghanistan's “Lifeline” to Iran giving the land locked country and extra avenue to reach out. This should be also kept in mind that above mentioned port was built to decrease the value/fail the Gwadar port.